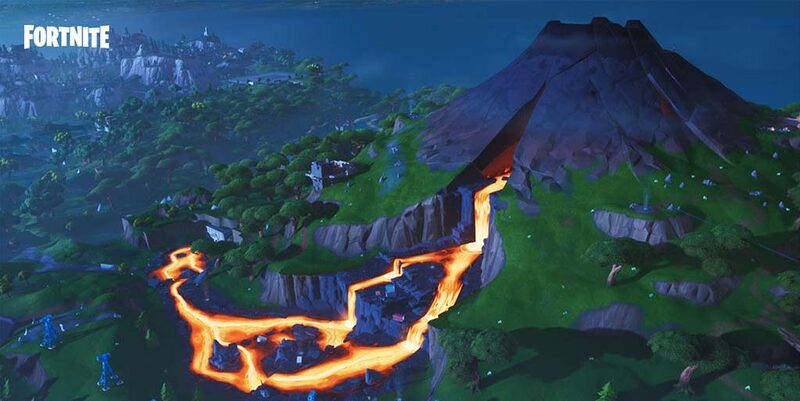 Another location has been discovered on the Fortnite map that will lead to an instant death. The new location was posted to the FortniteBR subreddit by user charis38. In the post, charis38 stumbled upon a pile of loot on a random patch of grass located not too far away from the lava flow of the Volcano. After attempting to pick up some of the free loot, charis38 was eliminated from the game in 43rd place. Following the death, the elimination message read “You eliminated yourself” while the in-game feed stated the player “didn’t stick the landing” from a 31 meter-high drop – despite the player having their feet firmly on the ground. This is now the third spot players have discovered that results in an instant elimination simply by stepping on it. 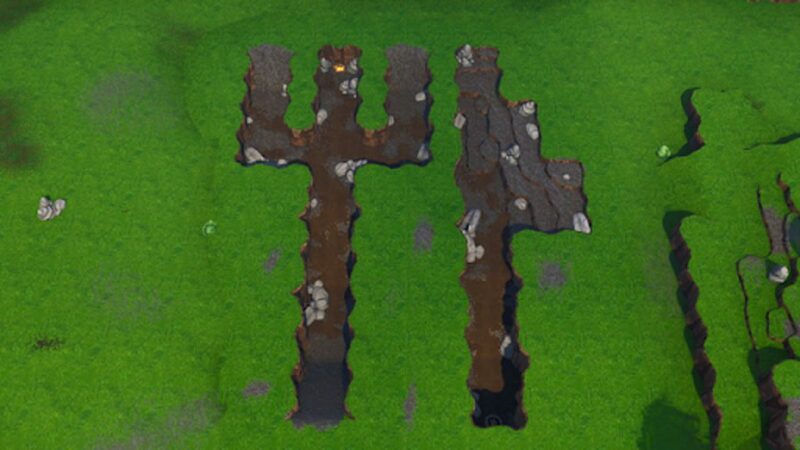 It joins the Fork Knife location near Fatal Field, which had been discovered as the first. The second was recently discovered at The Block as players had the same issue as the Fork Knife location. The Fork Knife instant death was recently fixed by Epic but the other two remain. It is also entirely possible that there are more of the same areas out there, just waiting to be stumbled upon. If Epic releases any sort of fix for these locations, we’ll be sure to let you know as soon as that is possible. Until then, be wary of where you step on the map as your next step could be your last – at least in that particular match.